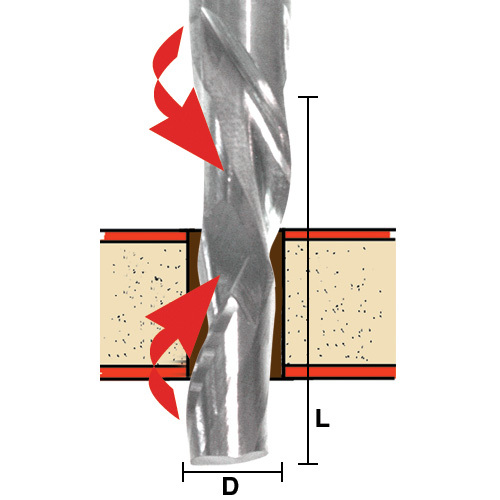 Our production quality Spiral Bits combine effective chip removal with a continuous shearing action cut which cannot be obtained from a standard straight bit. 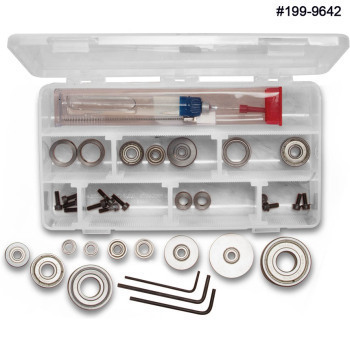 Spiral router bits come in several configurations. 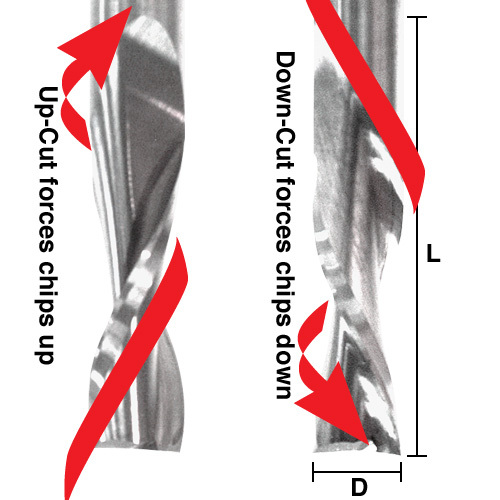 Up-cut Bits provide faster cutting while they pull chips up and out of the work or towards the router. Down-cut Bits cut slower and push chips away from the router to eliminate top surface splintering. 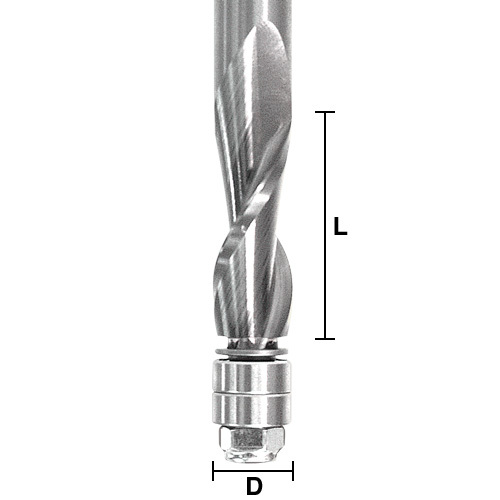 We also have Compression Bits which give you clean cuts on both the top and bottom of the material you are cutting. 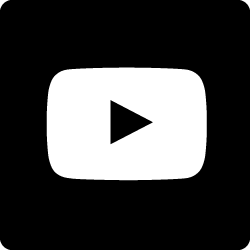 You'll get smoother cutting action with better results guaranteed!